Moooi Light Shade Shade: One of the biggest successes of the brand Moooi (to the origin, conceived for Droog design in 1999). 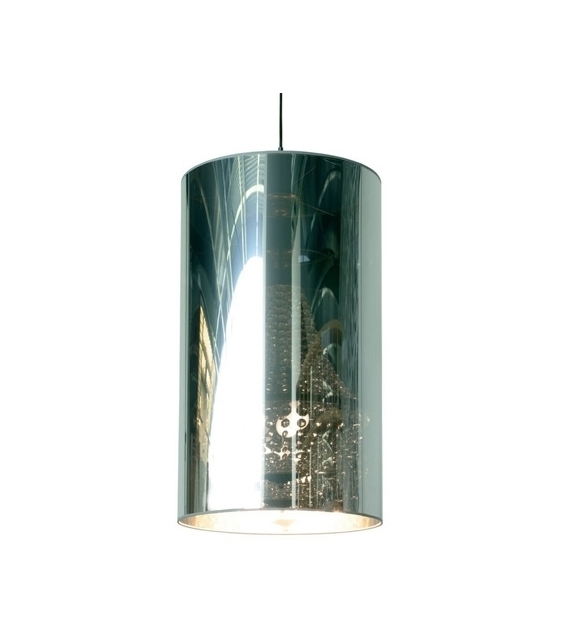 Light Shade Shade combines with audacity two elements to the aesthetic one have incompatible priori: a cylinder in film mirror semi transparent and a baroque luster to the decorations in finely chiseled glass. 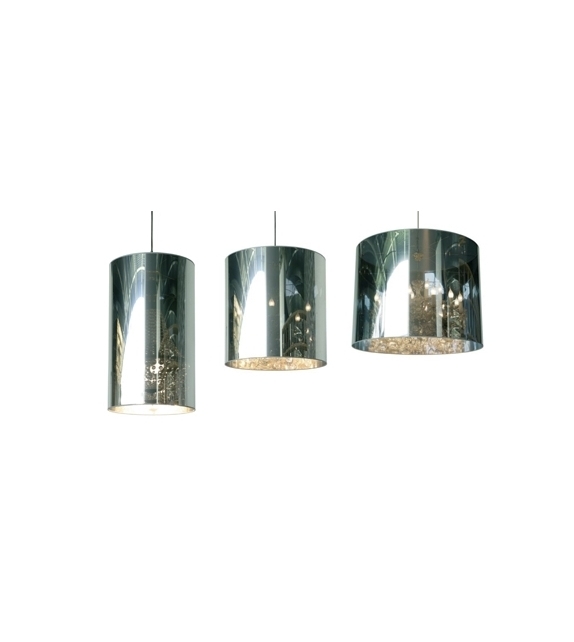 Moooi Light Shade Shade: One of the biggest successes of the brand Moooi (to the origin, conceived for Droog design in 1999). 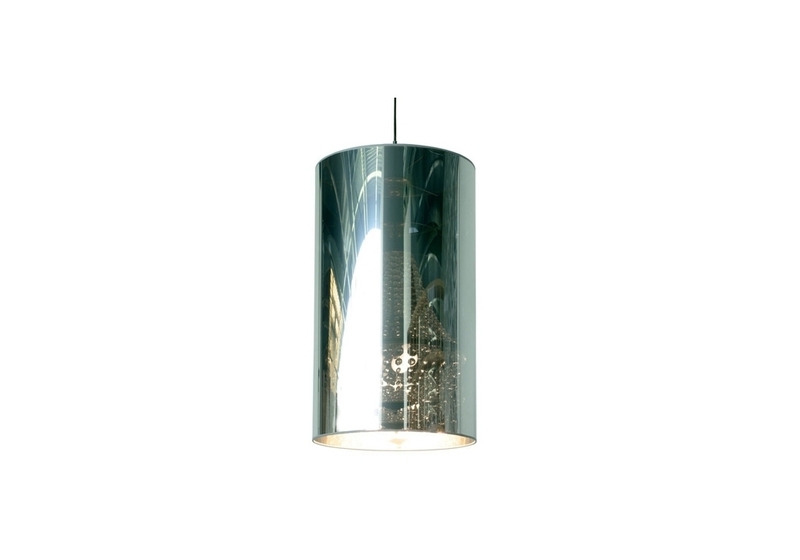 Light Shade Shade combines with audacity two elements to the aesthetic one have incompatible priori: a cylinder in film mirror semi transparent and a baroque luster to the decorations in finely chiseled glass. 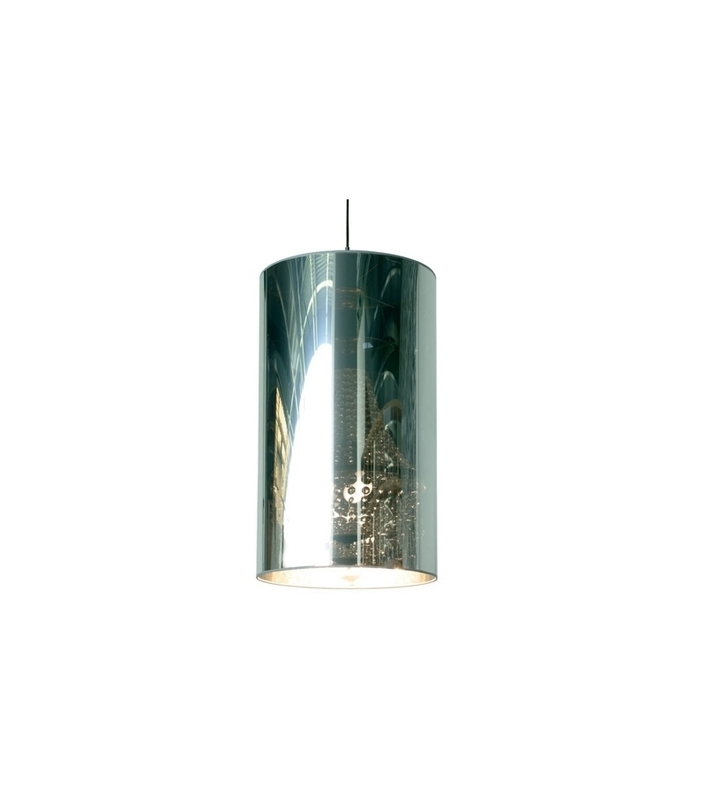 Collusion between this lampshade minimaliste and this classical luster is born a surprise and delicate harmony. 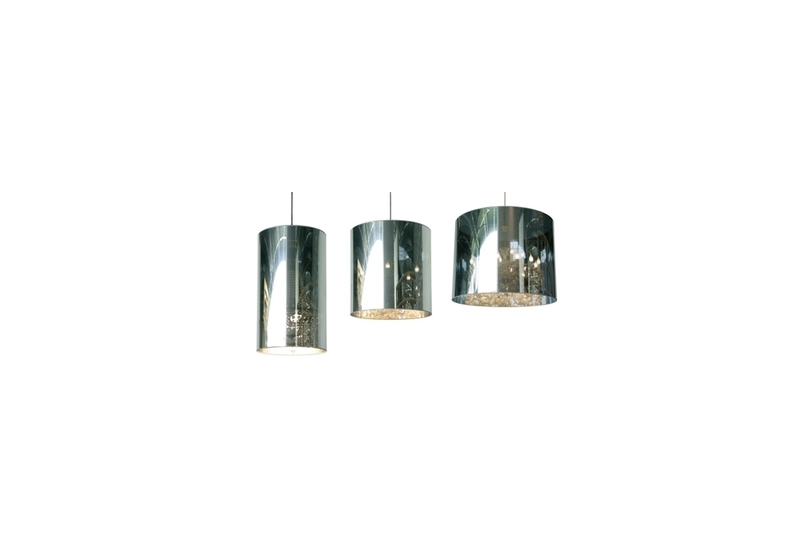 When the light is extinguished, you contemplate a modern and fanciful lampshade that reflects his environment. Once lit, the luster shines in transparency and becomes the major actor of the scene. Light Shade Shade is part of the collection Moooi Weer this that means in Dutch '' beautiful again'', a sort again memory of the passed. Opposite high version, diam 47 cm and high 82 cm. Exist equally in diam 70 x h 75 cm and in very big: diam 95 x h 75 cm.